1California Department of Education is a nonpartisan state executive position. The California Democratic Party is the state branch of the United States Democratic Party in the state of California. Headquartered in Sacramento, it is chaired by veteran Democratic politician and former United States Representative John L. Burton, who succeeded Art Torres in April 2009. It is the majority party in both chambers of the California State Legislature, i.e. the State Assembly and the Senate. In regards to businesses and economics, the California Democratic party takes a stance that protects consumers, small businesses, unions, and individuals whose homes have been foreclosed upon. The platform also makes a point to champion the economic reforms of President Barack Obama. The 2012 platform addresses the issues of family in several sections. The platform promises to protect seniors, children and all types of families with fair economic and social policies. These policies range from continuing Medicare for the elderly and keeping playgrounds safe for children. The platform also highlights the right of a woman to make choices for her own body and claims that healthcare is a natural right of all people. The California democrats further promise to protect the dignity of disabled citizens. The platform is dedicated to advocating for the rights of women through equal pay and affirmative action. The party prioritizes the creation of a sustainable and earth-friendly state. Focus is placed on the development of alternative forms of energy and how energy is consumed. In addition, the platform stresses that green jobs are a solution to economic and environmental concerns. Finally, the platform takes stances on open internet use, immigration, and education. The Democrats of California support the right of the people to express their thoughts and ideas through any media, and their right to assemble. The party believes that immigration laws should be fair and that immigrants should not be discriminated against. The party wishes to bring education to the forefront, aiming to turn California into a leading state for academic achievement. A Detailed description of the California Democratic Party's position on all of the above issues can be found in their 2012 Platform document . This resolution, written 18 November 2012, encourages all arms of government to favor American suppliers of goods and services. This resolution was written on 18 November 2012 and supports the Department of Defense's initiative to commit to clean energy and alternative fuels through the Navy's "Great Green Fleet" initiative, the Army's "Net Zero" initiative, and the Air Force's commitment to lower carbon emissions. This resolution condemns the Republican Party's use of the filibuster to disrupt the work of the U.S. Senate and advocates that reform must be the first priority of the Senate Majority. The above are only three of a long list of Resolutions passed by the California Democratic Party in 2012 and in preceding years. The history of the Democratic Party of California is complex and long. The State has traded hands every few cycles since its admission into the union in 1850. At that time, the state was firmly in the hands of the Democratic Party. Until the early 1880s after the Republican Party abolished slavery, the Republicans held the state through the power and influence of railroad men. The Democratic Party responded by taking an anti-corporate, anti freedom of attainment position. In 1894, Democrat James Budd was elected to the governorship, and the Democratic Party attempted to make good on their promises to reform the booming railroad industry. The party began working closely with the state's railroad commission to create fair rates for passengers and to eliminate monopolies the railroad companies held over the state. The main effort focused on making railroads public avenues of transportation similar to streets and roads. This measure passed and was a great victory for the Democrats, but the honeymoon would not last. Budd was to be the last Democratic governor for thirty years. The struggle between the anti-monopolists and the railroad companies was, however, a key and defining issue for the Democratic Party for some time. Despite their relative lack of power during this period, the Democrats in California were still active in pursuing reform. The party supported fairer railroad policies and crusaded for Dianne Feinstein and Barbara Boxer. Even though redistricting (reapportionment) was executed by a Republican State Supreme Court, California Democrats in November 1992 had increased their margin at all levels—Congressional, State Assembly and in the State Senate. In 1994 California Democrats suffered a setback by losing the governor's race for the fourth time in a row, and the Democrats became a minority in the State Assembly. However, despite $29 million spent by Republican U.S. Senate candidate Michael Huffington, Democratic incumbent U.S. 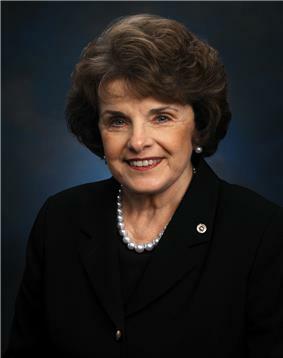 Senator Dianne Feinstein won re-election. The 1996 elections proved to be a dramatic turnaround from the results of 1994, as President Bill Clinton won California's 54 electoral votes for a second consecutive time. Three Republican Congressman were also defeated, including Bob Dornan in the conservative stronghold of Orange County. In addition, California Democrats also regained the majority in the State Assembly while adding to their majority in the State Senate. 1998 was a banner year for California Democrats. An overwhelming majority of Californians elected Gray Davis, the first Democratic Governor in 16 years and re-elected U.S. 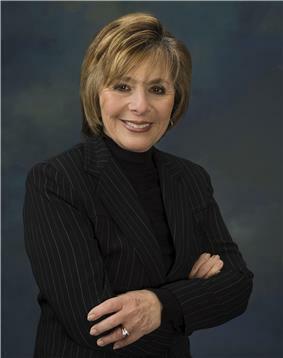 Senator Barbara Boxer. Six of eight candidates for statewide constitutional offices won including Lieutenant Governor Cruz Bustamante, Attorney General Bill Lockyer, Treasurer Phil Angelides, Controller Kathleen Connell and State Superintendent of Public Instruction Delaine Eastin. In addition, California Democrats increased their majority in the State Assembly from 43 to 48 and also in the State Senate from 23 to 25. Holding off a national Republican trend in 2002, California Democrats won all eight statewide offices for the first time since 1882. Governor Gray Davis, Lieutenant Governor Cruz Bustamante, Attorney General Bill Lockyer and State Treasurer Phil Angelides were all re-elected while Steve Westly was elected State Controller, Kevin Shelley was elected Secretary of State, John Garamendi was elected Insurance Commissioner and Jack O'Connell was elected State Superintendent of Public Instruction. This feat was repeated again in 2010, when, despite massive Republican gains nationwide, the California Democratic Party swept all the statewide offices being contested, maintained its 34-19 edge in the 53-member U.S. House delegation and won one additional seat (thus increasing their majority) in the State Assembly while maintaining their current majority in the State Senate. In the 2012 election, California Democrats experienced tremendous success once again: not only did President Barack Obama win California's 55 electoral votes again with over 60% of the vote and Senator Dianne Feinstein reelected with over 62% of the vote, but California Democrats - despite running in federal and legislative districts that were redrawn by an independent redistricting commission for the first time per the passage of Propositions 11 and 20 and the implementation of a new blanket primary - also won a net gain of four House seats by defeating three GOP incumbents and winning an open GOP seat and won a supermajority in both houses of the state legislature, a feat which the party last accomplished in 1882. Geographically, the 2012 elections also witnessed the California Democratic Party make inroads in traditionally Republican areas: San Diego, the second largest city in California and a longtime GOP stronghold, elected a Democratic mayor for the first time since 1988. California Democrats also notched victories in other traditionally Republican areas such as the Inland Empire, Ventura County, the Central Valley, and Orange County. Democrats hold three of the five seats on the State Board of Equalization: two of the four district-based seats, and the at-large ex officio seat reserved for the incumbent State Controller, who in this instance is Democrat John Chiang. Democrats hold a 25-12 majority in the 40-member California State Senate, with three vacancies to be decided in upcoming special elections. The Democrats have been the majority party in the Senate continuously since 1956. Democrats hold a 52-28 majority in the 80-seat California State Assembly. The Democrats have been the majority party in the Assembly continuously since 1996. The California Democratic Party is a "political party that has detailed statutory provisions applicable to its operation", which are in division 7, part 2 of the California Elections Code. The Democratic State Central Committee, which is the governing body of the California Democratic Party, functions pursuant to its standing rules and bylaws. The Democratic State Central Committee is composed of approximately 2,900 members that are appointed by Democratic elected officials and nominees, elected by county central committees, and elected in Assembly district election meetings, in roughly equal proportion. The Executive Board is composed of approximately 320 members and holds all powers and duties of the California Democratic Party while the state central committee or its conventions are not in session. There are semi-autonomous county central committees for each of California's 54 counties. Each county central committee elects 4 members, plus a member for each 10,000 registered Democrats in that county, to the state central committee. The state central committee bylaws specify that county central committees may provide for the election of their allocation of membership on an at-large basis, or by county supervisor districts or Assembly districts, or by any combination thereof. "Assembly district election meetings" are held biennially in January in every odd-numbered year within each of California's 80 Assembly districts. Participation is open to all registered Democrats within the Assembly district. Each meeting elects 12 members to the state central committee, divided as equally as possible between men and women. The most recent meetings were held January 12–13, 2013. At every direct primary election, a county central committee is elected in each county. The California Elections Code specifies how county central committee members are elected. Candidates for county central committees are nominated pursuant to division 8, part 1, chapter 1 of the Elections Code, which defines requirements such as the number of Democratic registered voters required (20-40) to sign a nomination. A county central committee may also select its members at any time by holding a caucus or convention or by using any other method of selection approved by the committee. If the number of candidates nominated for election does not exceed the number of candidates to be elected, the candidates are not listed on the ballots, but are instead declared elected by the Board of Supervisors. There are 7 county central committee members elected at-large by Democratic voters in each California State Assembly district contained wholly or partially within Los Angeles County. There are 6 county central committee members elected by Democratic voters in each California State Assembly district contained within San Diego County. There are 6 county central committee members elected by Democratic voters in each California State Assembly district contained within Orange County at the primary election in each even numbered year. There are 6 county central committee members elected by Democratic voters in each California State Assembly district contained within Santa Clara County. There are 6 county central committee members elected by Democratic voters in each California State Assembly district contained within Alameda County. There are 6 county central committee members elected by Democratic voters in each supervisor district in Sacramento County. The 24-member county central committee is elected from the two Assembly districts in San Francisco, with a 14/10 member split between the two Assembly districts based on number of registered Democrats.
! San Mateo County Democratic Party | There are 22 elected members of the San Mateo County Democratic Central Committee. They are elected by democratic voters in each County Supervisor District every four years in the Presidential election cycle. ^ "Contact Us." California Democratic Party. Retrieved on May 13, 2010. ^ For a full list and details of all Resolutions refer to the California Democratic Party Resolutions on their website. ^ West's California Jurisprudence 3d. 28. Bancroft-Whitney Company. 1972. p. 615. ^ Eu v. San Francisco County Democratic Central Committee (1989), 489 U.S. 214. "The State of California heavily regulates its political parties. … The California Elections Code (Code) provides that the 'official governing bodies' for such a party are its 'state convention,' 'state central committee,' and 'county central committees,' …"
^ By-Laws & Rules of the California Democratic Party. July 2012. ^ a b c d "About Us / California Democratic Party". California Democratic Party. Retrieved 30 May 2013. ^ California Elections Code § 7225 et seq. ^ "Central Committee - Democratic Party of Orange County". Retrieved 8 March 2014. ^ "Central Committee &125; Santa Clara County Democratic Party". Retrieved 8 March 2014. ^ Santa Clara County Democratic Central Committee By-Laws, § II.A.1.